By 1955, computers were well on their way to becoming fixtures at government agencies, defense contractors, academic institutions, and large corporations, but their function remained limited to a small number of activities revolving around data processing and scientific calculation. Generally speaking, the former process involved taking a series of numbers and running them through a single operation, while the latter process involved taking a single number and running it through a series of operations. In both cases, computing was done through batch processing — i.e. the user would enter a large data set from punched cards or magnetic tape and then leave the computer to process that information based on a pre-defined program housed in memory. For companies like IBM and Remington Rand, which had both produced electromechanical tabulating equipment for decades, this was a logical extension of their preexisting business, and there was little impetus for them to discover novel applications for computers. In some circles, however, there was a belief that computers could move beyond data processing and actually be used to control complex systems. This would require a completely different paradigm in computer design, however, based around a user interacting with the computer in real-time — i.e. being able to give the computer a command and have it provide feedback nearly instantaneously. The quest for real-time computing not only expanded the capabilities of the computer, but also led to important technological breakthroughs instrumental in lowering the cost of computing and opening computer access to a greater swath of the population. Therefore, the development of real-time computers served as the crucial final step in transforming the computer into a device capable of delivering credible interactive entertainment. Note: This is the fourth and final post in a series of “historical interludes” summarizing the evolution of computer technology between 1830 and 1960. The information in this post is largely drawn from Computer: A History of the Information Machine by Martin Campbell-Kelly and William Aspray, A History of Modern Computing by Paul Ceruzzi, Forbes Greatest Technology Stories: Inspiring Tales of Entrepreneurs and Inventors Who Revolutionized Modern Business by Jeffrey Young, IBM’s Early Computers by Charles Bashe, Lyle Johnson, John Palmer, and Emerson Pugh, and The Ultimate Entrepreneur: The Story of Ken Olsen and Digital Equipment Corporation by Glenn Rifkin and George Harrar. The path to the first real-time computer began with a project that was never supposed to incorporate digital computing in the first place. In 1943, the head of training at the United States Bureau of Aeronautics, a pilot and MIT graduate named Captain Luis de Florez, decided to explore the feasibility of creating a universal flight simulator for military training. While flight simulators had been in widespread use since Edwin Link had introduced a system based around pneumatic bellows and valves called the Link Trainer in 1929 and subsequently secured an Army contract in 1934, these trainers could only simulate the act of flying generally and were not tailored to specific planes. Captain de Florez envisioned using an analog computer to simulate the handling characteristics of any extant aircraft and turned to his alma mater to make this vision a reality. At the time, MIT was already the foremost center in the United States for developing control systems thanks to the establishment of the Servomechanisms Laboratory in 1941, which worked closely with the military to develop electromechanical equipment for fire control, bomb sights, aircraft stabilizers, and similar projects. The Bureau of Aeronautics therefore established Project Whirlwind within the Servomechanisms Laboratory in 1944 to create de Florez’s flight trainer. Leadership of the Whirlwind project fell to an assistant director of the Servomechanisms Laboratory named Jay Forrester. Born in Nebraska, Forrester had been building electrical systems since he was a teenager, when he constructed a 12-volt electrical system out of old car parts to provide his family’s ranch with electricity for the first time. After graduating from the University of Nebraska, Forrester came to MIT as a graduate student in 1939 and joined the Servomechanisms Laboratory at its inception. By 1944, Forrester was getting restless and considering establishing his own company, so he was given his choice of projects to oversee to prevent his defection. Forrester chose Whirlwind. In early 1945, Forrester drew up the specifications for a trainer consisting of a mock cockpit connected to an analog computer that would control a hydraulic transmission system to provide feedback to the cockpit. Based on this preliminary work, MIT drafted a proposal in May 1945 for an eighteen-month project budgeted at $875,000, which was approved. As work on Whirlwind began, the mechanical elements of the design came together quickly, but the computing element remained out of reach. To create an accurate simulator, Forrester required a computer that updated dozens of variables constantly and reacted to user input instantaneously. Bush’s Differential Analyzer, perhaps the most powerful analog computer of the time, was still far too slow to handle these tasks, and Forrester’s team could not figure out how to produce a more powerful machine solely through analog components. In the summer of 1945, however, a fellow MIT graduate student named Perry Crawford that had written a master’s thesis in 1942 on using a digital device as a control system alerted Forrester to the breakthroughs being made in digital computing at the Moore School. In October, Forrester and Crawford attended a Conference on Advanced Computational Techniques hosted by MIT and learned about the ENIAC and EDVAC in detail. By early 1946, Forrester was convinced that the only way forward for Project Whirlwind was the construction of a digital computer that could operate in real time. The shift from an analog computer to a digital computer for the Whirlwind project resulted in a threefold increase in cost to an estimated $1.9 million. It also created an incredible technical challenge. In a period when the most advanced computers under development were struggling to achieve 10,000 operations a second, Whirlwind would require the capability of performing closer to 100,000 operations per second for seamless real-time operation. Furthermore, the first stored-program computers were still three years away, so Forrester’s team also faced the prospect of integrating cutting edge memory technologies that were still under development. By 1946, the size of the Whirlwind team had grown to over a hundred staff members spread across ten groups each focused on a particular part of the system in an attempt to meet these challenges. All other aspects of the flight simulator were placed on hold as the entire team focused its attention on creating a working real-time computer. By 1949, Forrester’s team had succeeded in designing an architecture fast enough to support real-time operation, but the computer could not operate reliably for extended periods. With costs escalating and no end to development in sight, continued funding for the project was placed in jeopardy. After the war, responsibility for Project Whirlwind had transferred from the Bureau of Aeronautics to the Office of Naval Research (ONR), which felt the project was not providing much value relative to a cost that had by now far surpassed $1.9 million. By 1948, Whirlwind was consuming twenty percent of ONR’s entire research budget with little to show for it, so ONR began slowly trimming the budget. By 1950, ONR was ready to cut funding all together, but just as the project appeared on the verge of death, it was revived to serve another function entirely. On August 29, 1949, the Soviet Union detonated its first atomic bomb. In the immediate aftermath of World War II, the United States had felt relatively secure from the threat of Soviet attack due to the distance between the two nations, but now the USSR had both a nuclear capability and a long range bomber capable of delivering a payload on U.S. soil. During World War II, the U.S. had developed a primitive radar early warning system to protect against conventional attack, but it was wholly insufficient to track and interdict modern aircraft. The United States needed a new air defense system and needed it quickly. In December 1949, the United States Air Force formed a new Air Defense System Engineering Committee (ADSEC) chaired by MIT professor George Valley to address the inadequacies in the country’s air-defense system. In 1950, ADSEC recommended creating a series of computerized command-and-control centers that could analyze incoming radar signals, evaluate threats, and scramble interceptors as necessary to interdict Soviet aircraft. Such a massive and complex undertaking would require a powerful real-time computer to coordinate. Valley contacted several computer manufacturers with his needs, but they all replied that real-time computing was impossible. Despite being a professor at MIT, Valley knew very little about the Whirlwind project, as he was not interested in analog computing and had no idea it had morphed into a digital computer. Fortunately, a fellow professor at the university, Jerome Wiesner, pointed him towards the project. 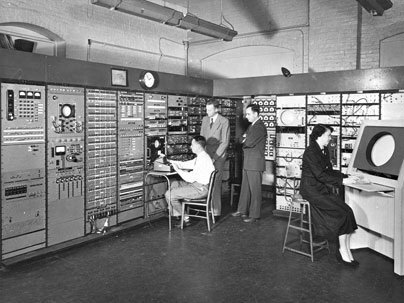 By early 1950, the Whirlwind I computer’s basic architecture had been completed, and it was already running its first test programs, so Forrester was able to demonstrate its real-time capabilities to Valley. Impressed by what he saw, Valley organized a field-test of the Whirlwind as a radar control unit in September 1950 at Hanscom Field outside Bedford, Massachusettes, where a radar station connected to Whirlwind I via a phone line successfully delivered a radar signal from a passing aircraft. Based on this positive result, the United States Air Force established Project Lincoln in conjunction with MIT in 1951 and moved Whirlwind to the new Lincoln Laboratory. By April 1951, the Whirlwind I computer was operational, but still rarely worked properly due to faulty memory technology. At Whirlwind’s inception, there were two primary forms of electronic memory in use, the delay-line storage pioneered for the EDVAC and CRT memory like the Williams Tube developed for the Manchester Mark I. From his exposure to the EDVAC, Forrester was already familiar with delay-line memory early in Whirlwind’s development, but that medium functioned too slowly for a real-time design. Forrester therefore turned his attention to CRT memory, which could theoretically operate at a sufficient speed, but he rejected the Williams Tube due to its low refresh rate. Instead, Forrester incorporated an experimental tube memory under development at MIT, but this temperamental technology never achieved its promised capabilities and proved unreliable besides. Clearly, a new storage method would be required for Whirlwind. In 1949, Forrester saw an advertisement for a new ceramic material called Deltamax from the Arnold Engineering Company that could be magnetized or demagnetized by passing a large enough electric current through it. Forrester believed the properties of this material could be used to create a fast and reliable form of computer memory, but he soon discovered that Deltamax could not switch states quickly at high temperatures, so he assigned a graduate student named William Papian to find an alternative. In August 1950, Papian completed a master’s thesis entitled “A Coincident-Current Magnetic Memory Unit” laying out a system in which individual cores — small doughnut-shaped objects — with magnetic properties similar to Deltamax are threaded into a three-dimensional matrix of wires. Two wires are passed through the center of the core to magnetize or demagnetize it by taking advantage of a property called hysteresis in which an electrical current only changes the magnetization of the material if it is above a certain threshold. Only when currents are run through both wires and passed in the same direction will the magnetization change, making the cores a suitable form of computer memory. A third wire is threaded through all of the cores in the matrix, allowing any portion of the memory to be read at any time. Papian built the first small core memory matrix in October 1950, and by the end of 1951 he was able to construct a 16 x 16 array of cores. During this period, Papian tested a wide variety of materials for his cores and settled on a silicon-steel ribbon wrapped around a ceramic bobbin, but these cores still operated too slowly and also required an unacceptably high level of current. At this point Forrester discovered a German ceramicist in New Jersey named E. Albers-Schoenberg was attempting to create a transformer for televisions by mixing iron ore with certain oxides to create a compound called a ferrite that exhibited certain magnetic properties. While ferrites generated a weaker output than the metallic cores Papian was experimenting with, they could switch up to ten times faster. After experimenting with various chemical compositions, Papian finally constructed a ferrite-based core memory system in May 1952 that could switch between states in less than a microsecond and therefore serve the needs of a real-time computer. First installed in the Whirlwind I in August 1953, ferrite core memory was smaller, cheaper, faster, and more reliable than delay-line, CRT, and magnetic drum memory and ultimately doubled the operating speed of the computer while reducing maintenance time from four hours a day to two hours a week. Within five years, core memory had replaced all other forms of memory in mainframe computers, netting MIT a hefty profit in patent royalties. With Whirlwind I finally fully functional the Lincoln Laboratory turned its attention to transforming the computer into a commercial command-and-control system suitable for installation in the United States Air Force’s air defense system. This undertaking was beyond the scope of the lab itself, as it would require fabrication of multiple components on a large scale. Lincoln Labs evaluated three companies to take on this task, defense contractor Raytheon, which had recently established a computer division, Remington Rand — through both its EMCC and ERA subsidiaries — and IBM. At the time, Remington Rand was still the powerhouse in the new commercial computer business, while IBM was only just preparing to bring its first products to market. Nonetheless, Forrester and his team were impressed with IBM’s manufacturing facilities, service force, integration, and experience deploying electronic products in the field and therefore chose the new kid on the block over its more established competitor. Originally designated Project High by IBM — due to its location on the third floor of a necktie factory on High Street in Poughkeepsie — and the Whirlwind II by Lincoln Laboratory, the project eventually went by the name Semi-Automatic Ground Environment, or SAGE. 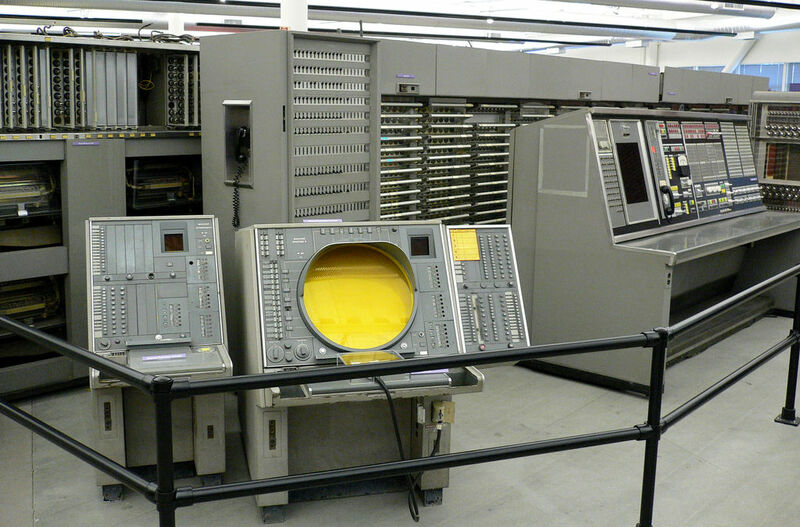 The heart of the SAGE system was a new IBM computer derived from the Whirlwind design called the AN/FSQ-7 Combat Direction Central. By far the largest computer system ever built, the AN/FSQ-7 weighed 250 tons, consumed three megawatts of electricity, and took up roughly half an acre of floor space. Containing 49,000 vacuum tubes and a core memory capable of storing over 65,000 33-bit words, the computer was capable of performing roughly 75,000 operations per second. In order to insure uninterrupted operation, each SAGE installation actually consisted of two AN/FSQ-7 computers so that if one failed, the other could seamlessly assume control of the air defense center. 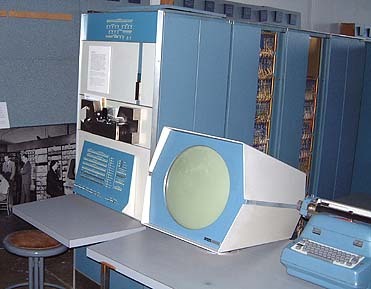 As the first deployed real-time computer system, it inaugurated a number of firsts in commercial computing such as the ability generate text and vector graphics on a display screen, the ability to directly enter commands via a typewriter-style keyboard, and the ability to select or draw items directly on the display using a light pen, a technology developed specifically for Whirlwind in 1955. In order to remain in constant contact with other segments of the air defense system, the computer was also the first outfitted with a new technology called a modem developed by AT&T’s Bell Labs research division to allow data to be transmitted over a phone line. The first SAGE system was deployed at McChord Air Force Base in November 1958, and the entire network of twenty-three Air Defense Direction Centers were online by 1963 at a total cost to the government of $8 billion. While IBM agreed to do the entire project at cost as part of its traditional support for national defense, the project still brought the company $500 million in revenues in the late 1950s. SAGE was perhaps the key project in IBM’s rise to dominance in the computer industry. Through this massive undertaking, IBM became the most knowledgeable company in world at designing, fabricating, and deploying both large-scale mainframe systems and their critical components such as core memory and computer software. In 1954, IBM upgraded its 701 computer to replace Williams Tubes memory with magnetic cores and released the system as the IBM 704. The next year, a core-memory replacement for the 702 followed designated the IBM 705. These new computers were instrumental in vaulting IBM past Remington Rand in the late 1950s. SAGE, meanwhile, remained operational until 1983. While building a real-time computer for the SAGE air-defense system was the primary purpose of Project Whirlwind, the scope of the project grew large enough by the middle of the 1950s that staff could occasionally indulge in other activities, such as a new computer design proposed by staff member Kenneth Olsen. Born in Bridgeport, Connecticut, Olsen began experimenting with radios as a teenager and took an eleven-month electronics course after entering the Navy during World War II. The war was over by the time his training was complete, so after a single deployment on an admiral’s staff in the Far East, Olsen left the Navy to attend MIT in 1947, where he majored in electrical engineering. After graduating in 1950, Olsen decided to continue his studies at MIT as a graduate student and joined Project Whirlwind. 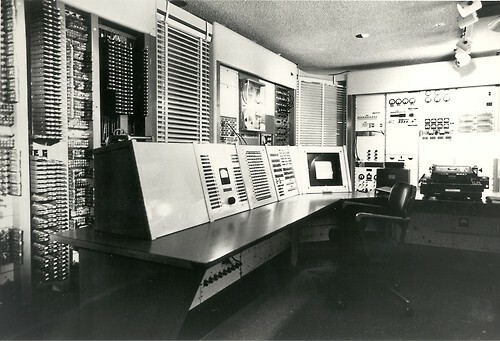 One of Olsen’s duties on the project was the design and construction of the Memory Test Computer (MTC), a smaller version of the Whirlwind I built to test various core memory solutions. In creating the MTC, Olsen innovated with a modular design in which each group of circuits responsible for a particular function was placed on a single plug-in unit placed on a rack that could be easily swapped out if it malfunctioned. This was a precursor of the plug-in circuit boards still used today on computers. One of the engineers who helped Olsen debug the MTC was Wes Clark, a physicist that came to Lincoln Laboratory in 1952 after working at the Hanford nuclear production site in Washington State. Clark and Olsen soon bonded over their shared views on the future of computing and their desire to create a computer that would apply the lessons learned during the Whirlwind project and the construction of the MTC to the latest advances in electronics to demonstrate the potential of a fast and power-efficient computer to the defense industry. Specifically, Olsen and Clark wanted to explore the potential of a relatively new electronic component called the transistor. For over forty years, the backbone of all electronic equipment was the vacuum tube pioneered by John Fleming in 1904. While this device allowed for switching at electronic speeds, however, its limitations were numerous. Vacuum tubes generated a great deal of heat during operation, which meant that they consumed power at a prodigious rate and were prone to burnout over extended periods of use. Furthermore, they could not be miniaturized beyond a certain point and had to be spaced relatively far apart for heat management, guaranteeing that tube-based electronics would always be large and bulky. Unless an alternative switching device could be found, the computer would never be able to shrink below a certain size. The solution to the vacuum tube problem came not from one of the dozen or so computer projects being funded by the U.S. government, but from the telephone industry. In the 1920s and 1930s, AT&T, which held a monopoly on telephone service in the United States, began constructing a series of large switching facilities in nearly every town in the country to allow telephone calls to be placed between any two phones in the United States. These facilities relied on the same electromechanical relays that powered several of the early computers, which were bulky, slow, and wore out over time. Vacuum tubes were sometimes used as well, but the problems articulated above made them particularly unsuited for the telephone network. As AT&T continued to expand its network, the size and speed limitations of relays became increasingly unacceptable, so the company gave a mandate to its Bell Labs research arm, one of the finest corporate R&D organizations in the world, to discover a smaller, faster, and more reliable switching device. In 1936, the new director of research at Bell Labs, Mervin Kelly, decided to form a group to explore the possibility of creating a solid-state switching device. Both solid-state physics, which explores the properties of solids based on the arrangement of their sub-atomic particles, and the related field of quantum mechanics, in which physical phenomena are studied on a nanoscopic scale, were in their infancy and not widely understood, so Kelly scoured the universities for the smartest chemists, metallurgists, physicists, and mathematicians he could find. His first hire was a brilliant, but difficult physicist named William Shockley. Born in London to a mining engineer and a geologist, William Bradford Shockley, Jr. grew up in Palo Alto, California, in the heart of the Santa Clara Valley, a region known as the “Valley of the Heart’s Delight” for its orchards and flowering plants. Shockley’s father spent most of his time moving from mining camp to mining camp, so he grew especially close to his mother, May, who taught him the ins and outs of geology from a young age. After attending Stanford to stay close to his mother, Shockley received a Ph.D. from MIT in 1936 and went to work for Bell. Gruff and self-centered, Shockley never got along with his colleagues anywhere he worked, but there was no questioning his brilliance or his ability to push colleagues towards making new discoveries. Kelly’s group began educating itself on the field of quantum mechanics through informal sessions where they would each take a chapter of the only quantum mechanics textbook in existence and teach the material to the rest of the group. As their knowledge of the underlying science grew in the late 1930s, the group decided the most promising path to a solid-state switching device lay with a group of materials called semiconductors. Generally speaking, most materials are either a conductor of electricity, allowing electrons to flow through them, or an insulator, halting the flow of electrons. As early as 1826, however, Michael Faraday, the brilliant scientist whose work paved the way for electric power generation and transmission, had observed that a small number of compounds would not only act as a conductor under certain conditions and an insulator in others, but would also serve as amplifiers under certain conditions as well. These properties allowed a semiconductor to behave like a triode under the right conditions, but for decades scientists remained unable to determine why changes in heat, light, or magnetic field would alter the conductivity of these materials and therefore could not harness this property. It was not until the field of quantum mechanics became more developed in the 1930s that scientists gained a great enough understanding of electron behavior to attack the problem. Kelly’s new solid-state group hoped to unlock the mystery of semiconductors once and for all, but their work was interrupted by World War II. In 1945, Kelly revived the solid-state project under the joint supervision of William Shockley and chemist Stanley Morgan. The key members of this new team were John Bardeen, a physicist from Wisconsin known as one of the best quantum mechanics theorists in the world, and Walter Brattain, a farm boy from Washington known for his prowess at crafting experiments. During World War II, great progress had been made in creating crystals of the semiconducting element germanium for use in radar, so the group focused its activities on that element. 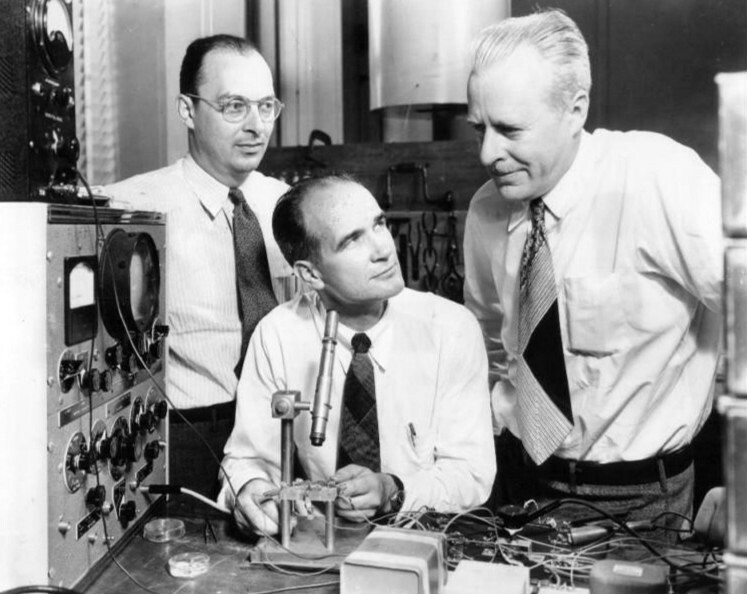 In late 1947, Bardeen and Brattain discovered that if they introduced impurities into just the right spot on a lump of germanium, the germanium could amplify a current in the same manner as a vacuum tube triode. Shockley’s team gave an official demonstration of this phenomenon to other Bell Labs staff on December 23, 1947, which is often recognized as the official birthday of the transistor, so named because it effects the transfer of a current across a resistor — i.e. the semiconducting material. Smaller, less power-hungry, and more durable than the vacuum tube, the transistor paved the way for the development of the entire consumer electronics and personal computer industries of the late twentieth century. Despite its revolutionary potential, the transistor was not incorporated into computer designs right away, as there were still several design and production issues that had to be overcome before it could be deployed in the field in large numbers (which will be covered in a later post). By 1954, however, Bell Labs had deployed the first fully transistorized computer, the Transistor Digital Computer or TRADIC, while electronics giant Philco had introduced a new type of transistor called a surface-barrier transistor that was expensive, but much faster than previous designs and therefore the first practical transistor for use in a computer. It was in this environment that Clark and Olsen proposed a massive transistorized computer called the TX-1 that would be roughly the same size as a SAGE system and deploy one of the largest core memory arrays ever built, but they were turned down because Forrester did not find their design practical. Clark therefore went back to the drawing board to create as simple a design as he could that still demonstrated the merits of transistorized computing. As this felt like a precursor to the larger TX-1, Olsen and Clark named this machine the TX-0. Completed in 1955 and fully operational the next year, the TX-0 — often pronounced “Tixo” — incorporated 3,600 surface-barrier transistors and was capable of performing 83,000 operations per second. Like the Whirlwind, the TX-0 operated in real time, and it also incorporated a display with a 512×512 resolution that could be manipulated by a light pen, and a core memory that could store over 65,000 words, though Clark and Olsen settled on a relatively short 18-bit word length. Unlike the Whirlwind I, which occupied 2,500 square feet, the TX-0 took up a paltry 200 square feet. Both Clark and Olsen realized that the small, fast, interactive TX-0 represented something new: a (relatively) inexpensive computer that a single user could interact with in real time. In short, it exhibited many of the hallmarks of what would become the personal computer. With the TX-0 demonstrating the merits of high-speed transistors, Clark and Olsen returned to their goal of creating a more complex computer with a larger memory, which they dubbed the TX-2. Completed in 1958, the TX-2 could perform a whopping 160,000 operations per second and contained a core memory of 260,000 36-bit words, far surpassing the capability of the earlier TX-0. Olsen once again designed much of the circuitry for this follow-up computer, but before it was completed he decided to leave MIT behind. Despite what Olsen saw as the nearly limitless potential of transistorized computers, the world outside MIT remained skeptical. It was one thing to create an abstract concept in a college laboratory, people said, but another thing entirely to actually deploy an interactive transistorized system under real world conditions. 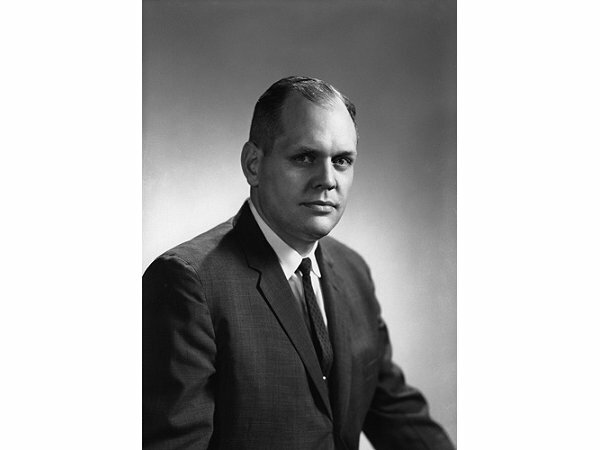 Olsen fervently desired to prove these naysayers wrong, so along with a fellow student who worked with him on the MTC named Harlan Anderson he decided to form his own computer company. As a pair of academics with no practical real-world business experience, however, Olsen and Anderson faced difficulty securing financial backing. They approached defense contractor General Dynamics first, but were flatly turned down. Unsure how to proceed next, they visited the Small Business Administration office in Boston, which recommended they contact investor Georges Doriot. Georges Doriot was a Frenchman who immigrated to the United States in the 1920s to earn an MBA from Harvard and then decided to stay on as a professor at the school. In 1940, Doriot became an American citizen, and the next year he joined the United States Army as a lieutenant colonel and took on the role of director of the Military Planning Division for the Quartermaster General. Promoted to brigadier general before the end of the war, Doriot returned to Harvard in 1946 and also established a private equity firm called the American Research and Development Corporation (ARD). With a bankroll of $5 million raised largely from insurance companies and educational institutions, Doriot sought out startups in need of financial support in exchange for taking a large ownership stake in the company. The goal was to work closely with the company founders to grow the business and then sell the stake at some point in the future for a high return on investment. While many of the individual companies would fail, in theory the payoff from those companies that did succeed would more than make up the difference and return a profit to the individuals and groups that provided his firm the investment capital. Before Doriot, the only outlets for a new business to raise capital were the banks, which generally required tangible assets to back a loan, or a wealthy patron like the Rockefeller or Whitney families. After Doriot’s model proved successful, inexperienced entrepreneurs with big ideas now had a new outlet to bring their products to the world. This outlet soon gained the name venture capital. 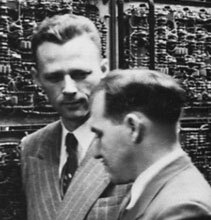 In 1957, Olsen and Anderson wrote a letter to Doriot detailing their plans for a new computer company. After some back and forth and refinement of the business plan, ARD agreed to provide $70,000 to fund Olsen and Anderson’s venture in return for a 70% ownership stake, but the money came with certain conditions. Olsen wanted to build a computer like the TX-0 for use by scientists and engineers that could benefit from a more interactive programming environment in their work, but ARD did not feel it was a good idea to go toe-to-toe with an established competitor like IBM. Instead, ARD convinced Olsen and Anderson to produce components like power supplies and test equipment for core memory. Olsen and Anderson had originally planned to call their new company the Digital Computer Corporation, but with their new ARD-mandated direction, they instead settled on the name Digital Equipment Corporation (DEC). In August 1957, DEC moved into its new office space on the second floor of Building 12 of a massive woolen mill complex in Maynard, Massachusetts, originally built in 1845 and expanded many times thereafter. At the time, the company consisted of just three people: Ken Olsen, Harlan Anderson, and Ken’s younger brother Stan, who had worked as a technician at Lincoln Lab. Ken served as the leader and technical mastermind of the group, Anderson looked after administrative matters, and Stan focused on manufacturing. In early 1958, the company released its first products. DEC arrived on the scene at the perfect moment. Core memory was in high demand and transistor prices were finally dropping, so all the major computer companies were exploring new designs, creating an insatiable demand for testing equipment. As a result, DEC proved profitable from the outset. In fact, Olsen and Anderson actually overpriced their stock due to their business inexperience, but with equipment in such high demand, firms bought from DEC anyway, giving the company extremely high margins and allowing it to exceed its revenue goals. Bolstered by this success, Olsen chose to revisit the computer project with ARD, so in 1959 DEC began work on a fully transistorized interactive computer. Designed by Ben Gurley, who had developed the display for the TX-0 at MIT, the Programmed Data Processor-1, more commonly referred to as the PDP-1, was unveiled in December 1959 at the Eastern Joint Computer Conference in Boston. It was essentially a commercialized version of the TX-0, though it was not a direct copy. The PDP-1 incorporated a better display than its predecessor with a resolution of 1024 x 1024 and it was also faster, capable of 100,000 operations per second. The base setup contained only 4,096 18-bit words of core memory, but this could be upgraded to 65,536. The primary method of inputting programs was a punched tape reader, and it was hooked up to a typewriter as well. While not nearly as powerful as the latest computers from IBM and its competitors in the mainframe space, the PDP-1 only cost $120,000, a stunningly low price in an era where buying a computer would typically set an organization back a million dollars or more. Lacking developed sales, manufacturing, or service organizations, DEC sold only a handful of PDP-1 computers over its first two years on the market to organizations like Bolt, Beranek, and Newman and the Lawrence Livermore Labs. A breakthrough occurred in late 1962 when the International Telegraph and Telephone Company (ITT) decided to order fifteen PDP-1 computers to form the heart of a new telegraph message switching system designated the ADX-7300. ITT would continue to be DEC’s most important PDP-1 customer throughout the life of the system, ultimately purchasing roughly half of the fifty-three computers sold. While DEC only sold around fifty PDP-1’s over its lifetime, the revolutionary machine introduced interactive computing commercially and initiated the process of opening computer use to ever greater portions of the public, which culminated in the birth of the personal computer two decades later. With its monitor and real-time operation, it also provided a perfect platform for creating engaging interactive games. Even with these advances, the serious academics and corporate data handlers of the 1950s were unlikely to ever embrace the computer as an entertainment medium, but unlike the expensive and bulky mainframes reserved for official business, the PDP-1 and its successors soon found their way into the hands of students at college campuses around the country, beginning with the birthplace of the PDP-1 technology: MIT.